Martin Engineering is recognized as the worldwide authority for total material control in bulk material systems. 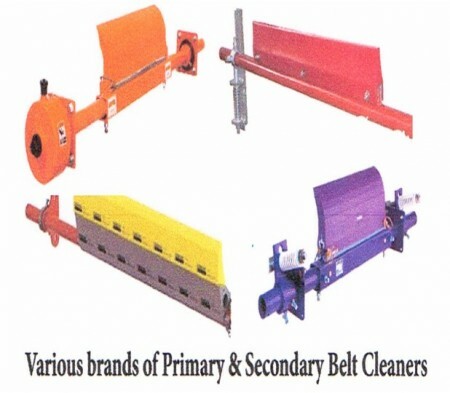 One of their most innovative products they design and manufacture are their Primary & Secondary Belt Cleaners. MSS Supply Martin Engineering’s Belt Cleaners which have been successfully used to make conveyor systems cleaner, safer and more productive. 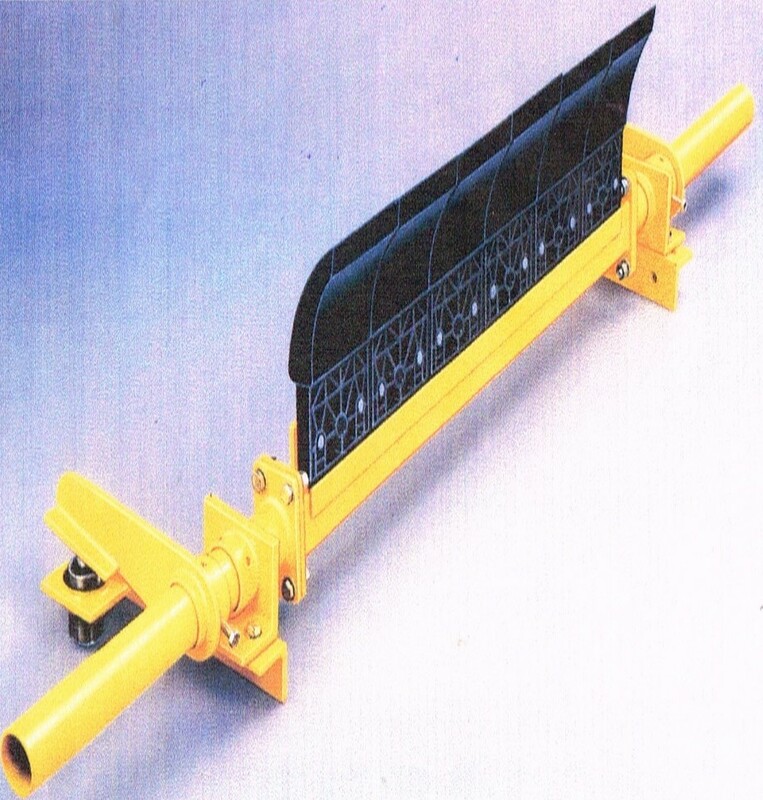 Usually the first scraper in any cleaning system, the primary scraper removes wet, sticky materials and up to 80% of the larger particles adhering to the belt surface. 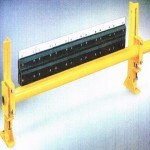 It can be mounted directly at the head pulley and used as a head pulley scraper, or by itself where space is limited. The primary is suitable for all types of converyor belts. Clean design resulting in minimal material build up on cleaner. The Secondary is the most important scraper in any belt cleaning system, removing up to 98% of material clinging to belt surfaces. It can be used singularly or in tandem if necessary and should be used in conjunction with a primary scraper for optimum performance. Custom designed rubber buffers improve belt contact pressure, irrespective of belt profile or irregularities. Choice of blades for optimal performance in abrasive or corrosive conditions. Multiple blade arrangement allows blades to conform to belt profile, especially when worn. Robust construction of cleaner assembly resists accidental damage. Unique installation and removal guide for easy removal & replacement of blade carrier tubes, especially on wide belts. Blades deflect when encountering metal belt fasteners, belt repairs or belt damage. Very compact design, requires minimum installation space. (1)Blades to maintain constant belt pressure irrespective of belt profile or irregularities. (2)Blades deflect to accomodate reversing belts. (1)Type HAR Tungsten for all normal applications. (2)Type ARB Tungsten for all acidic applications. (3)Special Impact Resistant Tungsten with Protector Plate for belts with metal fasteners. The DirtWhacker Secondary Cleaner is fail-safe by design. It is so effective in the majority of installations, that pre-cleaning by a primary cleaner is not required. Predetermined belt-to-blade angle remains constant, enabling the DirtWhacker to effectively remove any persistent material left clinging to the belt surface. Multiple cleaners are required for superior performance. The cleaning system should be matched to the conveyor, material, and conditions. Cleaners should be as far forward (as close to the discharge) as possible. Cleaners should be installed out of the material flow. Cleaners must minimize risk to operator, belt, splice, and cleaner itself. Cleaners should simplify maintenance, including quick blade changes and minimal adjustment of tension.